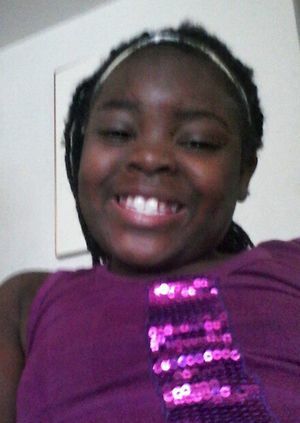 Nine Year-Old, Jamyla Bolden, shot to death in Ferguson last night. The Ferguson Twitter Brigade has always asserted that “Black” lives instead of “All” lives matter is a necessary distinction in today’s society due to a cultural devaluation of persons of color. Opponents of “Black Lives Matter” (BLM from here on out) have been quick to bring up the somewhat improper but oft cited “Black on Black” crime. “Black on Black crime” is not an adequate counter to the BLM philosophy because in terms of proportionality statistics, suspect race vs. victim race, Black murderers kill Black victims at a similar rate to white murderers in reference to White victims. The contrast is in the sheer number of those victims which the suspect-to-victim comparison statistic conceals. Unfortunately, references to racial makeup of homicide suspects is typically used to derive implications about entire races, and it should go without saying that MURDERERS OF ANY RACE ARE NOT A REPRESENTATIVE SAMPLE OF THAT RACE. Note: Statistical errors exclude Hispanic victims into either Black or White categories. The FBI has separate data for Hispanic victims where a further breakdown is available in submitted UCR (Uniform Crime Report) data. This data is particularly troubling given that Whites constitute 77.7% of the population and Blacks respectively only constitute 13.2% of the population and yet make up nearly 50% of homicide victims. However, what continues to be head scratching is the willful insistence by the BLM movement, most egregiously in the St. Louis area, to continually fixate on not only black deaths primarily at the hands of white police, but deaths resulting from dangerous encounters with violent suspects by police. A refrain of “but other victims are protested too” can already be heard from somewhere in the distance. However, no one can honestly argue that any such protest or prayer vigil, such as the “We Must Stop Killing Each Other” campaign, is in any way comparable to the months of unrest, corresponding violence and vitriol associated with the death of Michael Brown (Ferguson), the death of VonDeritt Myers (St. Louis City), or the death of Antonio Martin (Berkeley). In a slightly off-topic, yet related story, a few nights ago, a man got into an argument in Berkeley repeating the notion that “We must stop killing each other.” This infuriated an irony-immune gunman who started shooting and chased the first individual all the way to the Bel-Ridge Police Station where he finally put a bullet in an upper level window of the building before speeding off. Our local Pulitzer Prize winning news paper was apparently AWOL on this one. Anyway, one could argue that in the immediate aftermath of the confusion surrounding the Michael Brown shooting and the utter failure to properly release/clarify information, that the social climate of the moment gave rise to a hyper vigilance when it came to community allegations of police misconduct. However, months of record breaking homicide totals throughout the city and county without a proportional response from the BLM movement would seem to contradict such an assertion. In this region the focus of BLM protests is on violent suspects who are shot by police, either in the furtherance of a crime or through tragic suicidal decision making. On 8/9/2015, the one year anniversary of Michael Brown’s death, Tyrone Harris (an individual already with a pending gun case) got into a gun battle with other protesters and then shot up an unmarked, but red & blue light running, police car who responded to stop him. Meanwhile, two teenagers were shot in the chest on Canfield by unknown gunmen while standing next to the Michael Brown memorial. There is no evidence that they were doing anything wrong, while Tyrone Harris becomes a hashtag, a sign of divine infallibility to this movement. Today, on 08/19/2015, the one year anniversary of Kajime Powell’s death, St. Louis City Police executed a search warrant in an area near where a Tuskegee Airman was recently robbed twice in a single incident. This Officer Involved Shooting is still very recent, but rumors indicate that one gunman was shot and killed by police, while a second was shot and injured. Already crowds have begun gathering with the usual vitriol and lacking the usual care/consideration for facts. Meanwhile, in Ferguson, a NINE-YEAR-OLD LITTLE GIRL, named Jamyla Bolden, was shot to death. Her mother was also shot, but was only struck in the leg and is expected to survive. Jamyla and her mother evidently don’t warrant protests because their lives have been devalued below that of an armed gunman. Similarly, during the Post-Grand Jury Riots, on 11/24/2014, DeAndre Joshua was shot in the head and set on fire in his car on Canfield. However, Michael Brown’s name continues to be a call to “Fight Back” and most people in BLM couldn’t even tell you who DeAndre was. Those who can are far too busy focusing on others. While present for the sporadic unrest since the Grand Jury, I have NEVER heard DeAndre‘s name mentioned by BLM protesters. He has no chant. He has no voice. The reason why BLM lacks credibility is not because Michael Brown, Kajime Powell, VonDeritt Myers, or Antonio Martin deserved to die. What someone deserves has no bearing on whether or not they constitute a threat to another human being at the time of their death. BLM lacks credibility because #MikeBrown, #KajimePowell, #VonderittMyers, and #AntonioMartin are household names to a subset of groups claiming to want to restore value in the lives of our Black brothers and sisters but DeAndre Joshua and Jamyla Bolden aren’t valued above the other patron saints since they didn’t threaten the lives of police officers. A year ago, my life and the lives of most people in North St. Louis County changed. 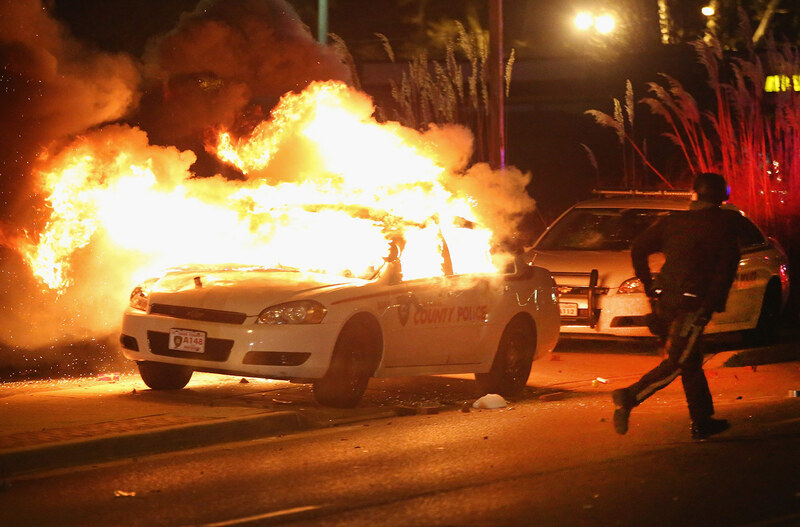 Anger in its rawest form manifested itself in the wake of the shooting of Michael Brown by Darren Wilson. Back then, we knew so little about what transpired in Canfield Green, and yet a hundred conclusions were reached in under twenty-four hours. Unfortunately, a determination to accept only the worst case scenario, that a racist white policeman murdered a promising young black college bound youth in his prime, became almost instantly ingrained. The consequence of that narrative is still a reality we continue to face today in spite of factual clarifications that nullify the stories of the early days. -We now know that Michael Brown committed a strong arm robbery prior to the altercation in Canfield Green. 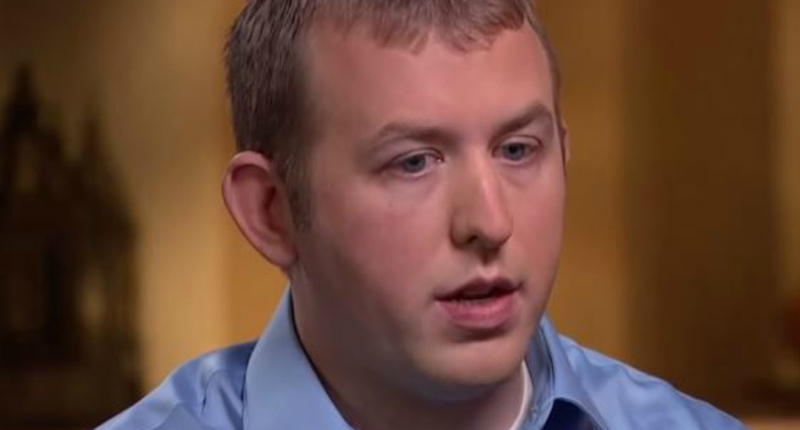 -We now know that Darren Wilson was aware of the robbery and had a physical description matching what Michael Brown was wearing at the time of his death. -We now know that blood evidence confirms that Michael Brown was inside Darren Wilson’s car and advanced at least twenty feet toward Darren Wilson at the time of the final gunshots. -We now know that many of the early stories were based on lies, with a few of the inventors coming clean to the FBI and other detectives while citing community threats and pressure to condemn Wilson. -We now know that eight witnesses came forward confirming Darren Wilson’s account, and many of whom expressed a similar fear of reprisal. What transpired between Michael Brown and Darren Wilson on this day, last year, is an event that when considered by St. Louis County Police, the St. Louis County Prosecutor’s Office, the FBI, The Civil Rights Division of the DOJ, and an independent Grand Jury matching the racial demographics of St. Louis County, all came to the same conclusion: That based upon the available facts it was reasonable for Darren Wilson to be in fear of death or serious bodily injury from Michael Brown. Based upon this conclusion, the shooting was deemed to be justified. 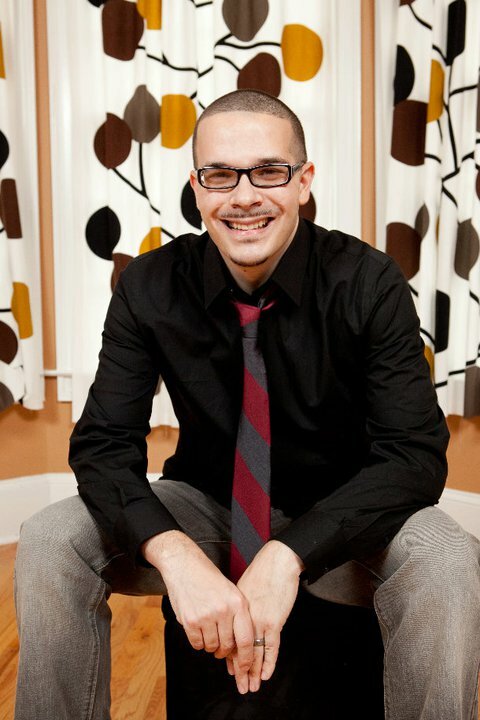 Unfortunately, every step in this process has been discounted by a steadily growing movement of protesters who seem to have never heard of the term “confirmation bias.” When the robbery video was initially released by Ferguson Police, it was deemed to be irrelevant and an attempt at assassinating Mike Brown’s character. 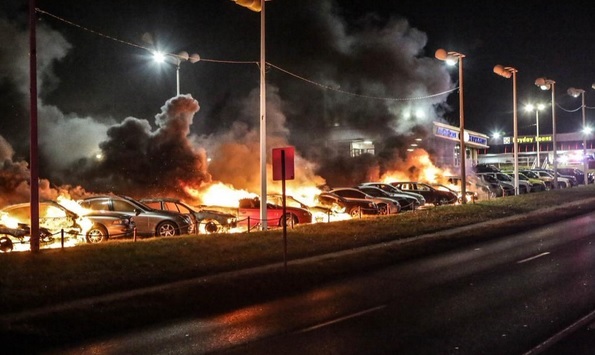 When the Grand Jury found that there was not sufficient evidence to reach the minimal level of probable cause to warrant an indictment, it was deemed that the Grand Jury was swayed by improper procedures on the part of the prosecutor (as if rioting and direct threats of more rioting hadn’t been cause to alter discretionary procedure). 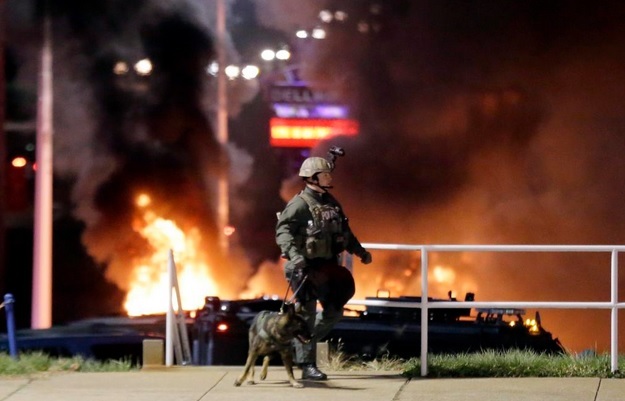 When the DOJ, operating under a black Attorney General, appointed by a Black President, came to the exact same conclusion as the Grand Jury, we were told that the unrest in Ferguson never really had anything to do with Mike Brown but other systemic problems. The goal posts had shifted again. Now, a year later, protesters have once again converged on Ferguson, Missouri, not seeking an end to revenue based policing practices, but looking for justice in the case of Michael Brown. 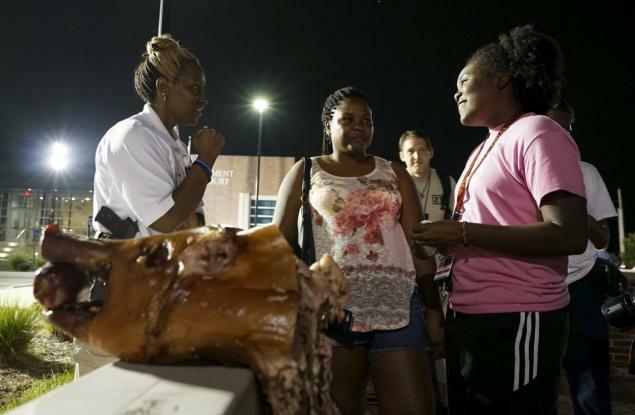 Peaceful protests as defined by the media continue with such chants as “Pigs in a blanket, fry em’ like bacon” and “Guns up, shoot back.” What peaceful message is supposed to be derived from a decapitated pigs head being placed on a concrete median in front of a police station? Friday Night, protesters threw bottles at a tow truck and tried to pull the driver out of the truck after he released the car on his flat bed and started to drive away. Gunshots were fired on W. Florissant. Saturday Night, a person was shot near the parking lot of McDonalds at Ferguson Ave. and W. Florissant. Then an unmarked Florissant Police car had its rear window shot out. A short ways down the road, a person was shot to death and another wounded in their vehicle on I-170. For every positive change to come out of the unrest in Ferguson, like Senate Bill 5, we seem to have more officers and citizens targeted by violent criminals whose behavior has worsened to levels not seen in decades. Tonight is the anniversary of a lot of things, but for me personally, it was the start of bad times to come. Since last year, I’ve been to the scenes of seven people shot. To be fair, two of those scenes had more than one victim, but that doesn’t make for much consolation. And what will the world look like tomorrow? This segment is a little bit harder to read because it is largely in reference to pictorial evidence that we do not have access to. The summaries of the injuries toward the end are the most important element. All Page Numbers are in reference to total 4799 page PDF. -Body was locked in a container and transported. Chain of custody was maintained from scene to medical examiner. -Michael Brown weighed 289 lbs and was 6 foot 5 inches tall. -Forensic Pathologist explains his rationale between entry/exit wounds. -The injury to the eye was not fatal. The gunshot entered the skin of the head and went toward the point of least resistance which traveled through Brown’s eye but did not pierce his skull. -The injury that entered the top of his head was fatal and presumably the final shot. -The top of the head shot came from a distance greater than 3 feet. -6 entrance wounds. 3 exit wounds. 2 graze wounds. -All shots were to the front. The shot to the dorsal portion of the right forearm arm could have come while trailing behind or from a number of other scenarios. In the coming weeks I’m going to be working my way through the various testimony to the Grand Jury in the case of the Michael Brown shooting. This is a significant undertaking seeing as the PDF that I downloaded from the New York Times is 4799 pages. The page references to follow are in reference to the greater PDF and not the page numbers in the individual transcript documents. Update: I erred in describing Michael Brown’s stepfather as Michael Brown Sr. This has been corrected. At least two people are dead that I’m aware of. One person was shot and had to be transported by personal vehicle to the hospital because ambulances could not reach them. They later passed away. A second individual was shot to death and burned in a vehicle in Canfield Green apartments where Michael Brown died. 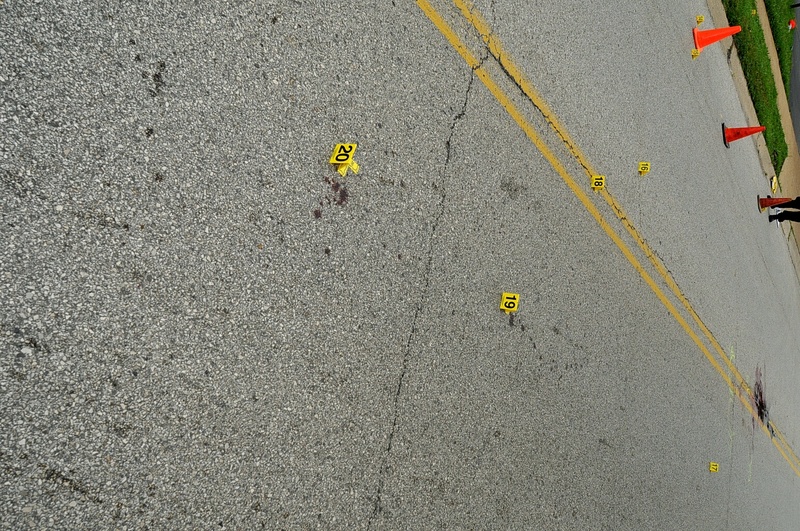 They were only discovered in the morning giving a pretty fair idea of how bad things were off of Canfield last night. A University City Officer was shot. Depending who you ask it was either in the chest or in the arm. Clayton was largely spared, adding more doubt to the “out of town agitator” narrative. 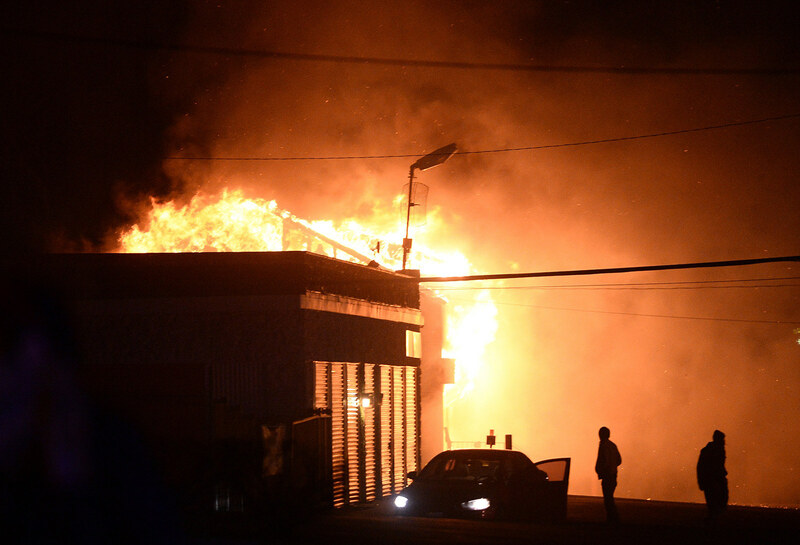 Numerous gunshots, engulfed structure fires, injuries, etc. First time I’ve ever heard a “Code 5000” used. Reports that this was the worst night of rioting so far are not exaggerations. Pictured above is Olajuwon Ali. 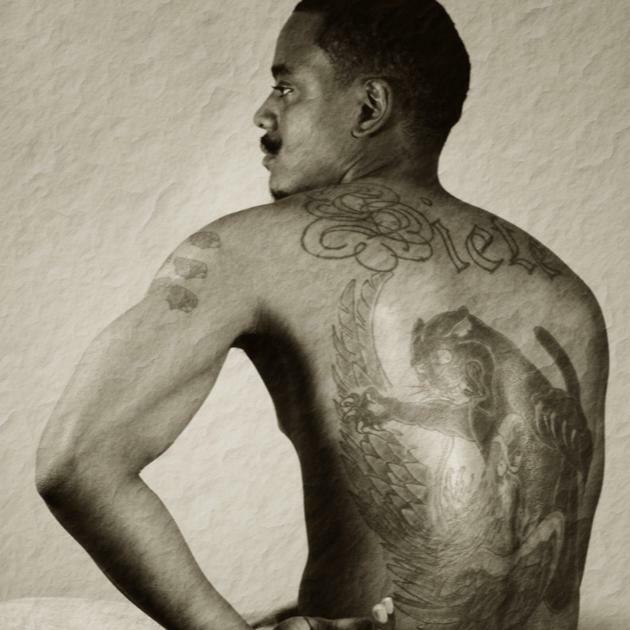 His back tattoo is a picture of a black panther attacking a bald eagle. The New Black Panther Party (NBPP) has decided to draw the ire of the FBI this week with two of their members, Olajuwon Ali and Brandon Baldwin, indicted for attempting to use fraudulent information to obtain firearms for third parties. See attached indictment document. What has yet to be officially confirmed by the FBI, though widely rumored, is that these two individuals were also picked up in relation to an attempt to obtain pipe bombs in order commit a terrorist attack against the St. Louis Gateway Arch. Further rumors report that either one or both of these men admitted to Federal authorities that they were part of an effort to obtain firearms with the intent of killing as many law enforcement officers as possible following the Grand Jury Indictment decision in the Michael Brown shooting. To be fair, nothing besides the indictment information is confirmed at this point.